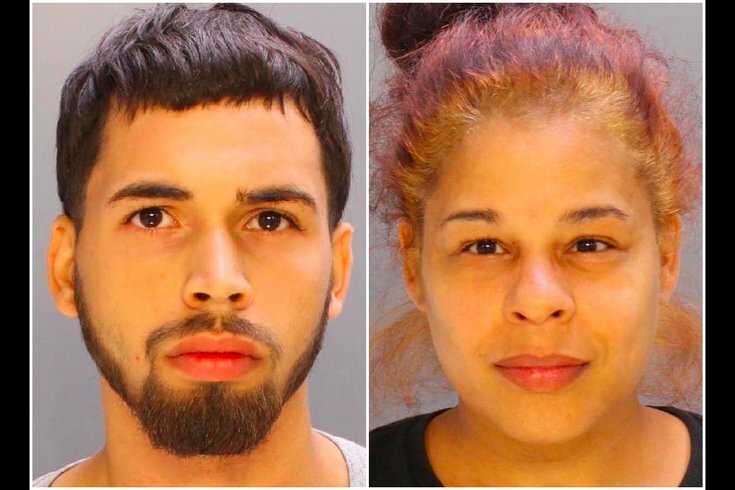 Jonathan Rodriguez and Barbara Bayona were charged with inciting a riot and other offenses for an incident at a Wawa in Tacony on July 29, 2016. It was the type of preliminary hearing befitting a crazy, sandwich-throwing melee that left a Torresdale Avenue Wawa in ransacked tatters. It was also a case study in the difficulty of parlaying a grainy, viral fight video into a felony prosecution, particularly when the lead detective gets on the stand and admits that he didn’t exactly prepare for court that morning. Welcome to Courtroom 1006 in Philadelphia’s Criminal Justice Center on Friday morning. There, Supervising Judge Frank T. Brady dismissed all charges against one suspect, 43-year-old Barbara Bayona, before knocking felony charges against her co-defendant/son Jonathan Rodriguez down to misdemeanors. This story begins the night of July 29, when Rodriguez went to the Wawa at 6400 Torresdale Ave. There, a terse exchange at the counter turned into pushes, screams, shoves, punches, thrown food and, ultimately, a video that drew more than a millions eyes thanks to a customer posting it on Facebook. The mother/son duo, which was free on bail in a pending burglary case at the time of the brawl, would be arrested within days and charged with inciting a riot (intent to commit a felony), conspiracy, criminal mischief, terroristic threats with intent to terrorize another, recklessly endangering another person, disorderly conduct and harassment. They finally had their day in court on Friday as Assistant District Attorney Lauren Stram called two Wawa employees, and a detective from the Northeast Division, to the stand. First up was Danielle Pestich, who was working the register when Rodriguez purchased “two packs of Pineapple Games” cigarillos. She testified that Rodriguez, 20, called her a “cocky f------ b----" out of nowhere. As Rodriguez got to the door, Pestich said she “meant to say ‘you too, sir’ but ‘f--- you sir’ came out. That’s when Rodriguez allegedly threw papers and demanded she get a manager lest he follow through with punching a woman in the face. She then went back into the manager’s office, called police and tried to compose herself “because I was literally in tears.” That would be her last interaction with either suspect that day. It seemed like things were cooling down when Rodriguez left, but “he came back in and started trashing the store,” said Margerum, of the ransacking – and the assault of customer Shawn Nichol who intervened and suffered some scratches – that was captured on video. 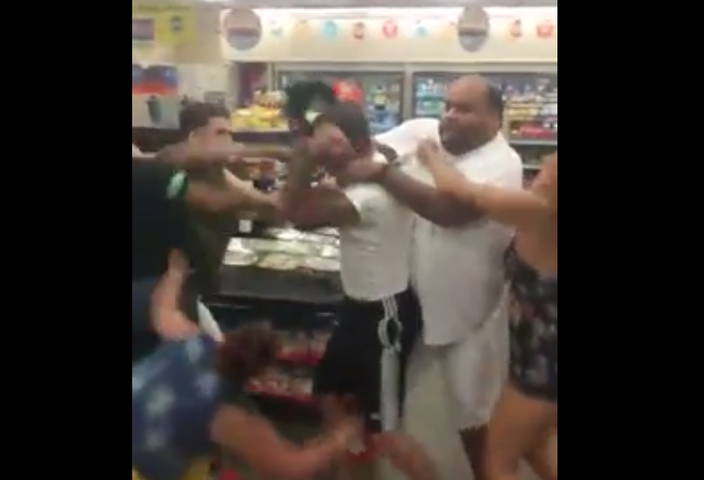 This screenshot is of a video of a fight that broke out at a Wawa convenience store. Stram had painted a picture of the type of chaos that regularly gets a case held over for trial, but things went south when Detective Thomas Altimari of the Northeast Detective Division took the stand. He’d been assigned the case on post-melee Monday, and his investigation led to the mother/son arrests. Stram took her Dell laptop to the witness stand and put it before the detective. Defense attorneys William Ciancaglini (representing Bayona) and Andre Martino (Rodriguez) stood behind the witness, and Brady peered down from his judge’s chair, to watch along as Altimari viewed the fight video. The audio could not be heard 10 yards away in the courtroom gallery. “The guy had his shirt torn off,” Brady commented when Nichol was seen in the grainy video. “Around the Slurpee machine,” came a response that confused Wawa’s offerings with those of 7-Eleven. Then, Ciancaglini asked Altimari if he bothered to prepare for this hearing. “I’m done,” declared the defense attorney. Ciancaglini asked that all charges be dismissed against Bayona. Marino conceded that Rodriguez broke some laws that night, but felony riot charges were not among them. Stram asked that both be held for trial on all charges. “They went into a Wawa and started a melee,” she said. “This didn’t have to happen. These two escalated the situation." After retreating to chambers for a few minutes, Brady returned to the bench with a lecture and some news. The defendants acted poorly “putting it mildly,” but “he felt bad for the commonwealth that had to put a case on,” which was primarily based on a video of which it’s difficult to make heads or tails. “You did as well as you could do,” Brady said to the prosecution, and chalked up Altimari’s memory issues to poor video quality. Then, he threw out everything with which Bayona was charged, but kept simple assault and criminal mischief misdemeanors pending against her son. When it came time for the bail-reduction conversation, the suspect’s sister Jacqueline Toro vouched for Rodriguez as “a wonderful person” whose been missed by nieces and nephews while incarcerated. He lashed out after someone “made a remark that never should have been made” about his sexuality, she said. Stram’s pleas involving the duo’s other active case – “this is pattern and practice for these two,” she said – didn’t stop Brady from cutting Rodriguez’s bail to the point that he will walk out of the CJC as soon as his mother and sister covered his $500 exit pass in the basement. The judge did agree with the prosecutor’s request to order Rodriguez to stay away from that Wawa, though. “If he steps foot in there, his bail will be at least $12,000,” Brady declared after the suspect was already out of the room. As she was heading downstairs to bail her co-defendant son out, Bayona seemed pleased. “I’m happy with how this played out today for my son. I’m gonna bail him out right now. My lawyer did a lot for me and my son. The best thing is my son will be coming home today,” she said. A hearing in that "first" case is scheduled for Oct. 24. As for the lingering charges from the Wawa brawl, Rodriguez's trial is scheduled for Nov. 14.